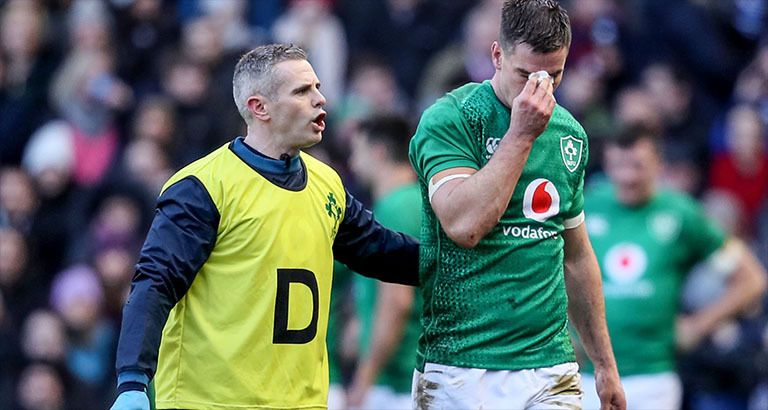 Ireland head coach Joe Schmidt has revealed Johnny Sexton did not come back on after being replaced by Joey Carbery because he failed his head injury assessment (HIA). Sexton was temporarily replaced with a blood injury by the Munster outhalf with just 29 minutes on the clock, not long after playing a huge role in Ireland’s second try. But he failed to return after the break, with Schmidt revealing Sexton got a “stamp on the head”. It will be interesting to see if any footage emerges of the incident.